Oscar prediction, or lack thereof; Rules Don’t Apply will become the poor man’s La La Land, paling in comparison to what might be the Best Picture of 2016 and failing to capture that old Hollywood feeling we as audiences so desperately love. This film is an attempt to transport us in time to a very magical era, to give us a glimpse into the life of one of the most famous men in American history, but also to share with us a classic love story that has been repeated across the ages to varying disastrous or wonderful results. What Warren Beatty had in his head while directing, writing, producing, and starring in this movie may have been something special, but what actually made it to the screen was a bit of what you might expect from a project that needed more editing and more diversity in its creation; a frenetic and overreaching piece of art that might have had excellent intentions but ended with sub par results. Young Fresno Methodist Frank Forbes moves to L.A. with the dream of striking it rich, of becoming an important man someday, of leaving his mark on the world of real estate, economics, and finance. But you’ve got to start somewhere, and Frank starts as a driver working for RKO, the film company owned by the enigmatic billionaire Howard Hughes. Young Virginia Baptist Marla Mabrey moves to L.A. as well, ready to set the world on fire with her acting and musical talents, waiting for the day that Mr. Hughes will call her up for her screen test, when he will make her a star. When Frank and Marla meet, love seems to be in the air, but it’s forbidden for staff to date, and their respective religions keep them chastely demure as well. Will they ever get together, will they ever actually meet the man they work for, and is the city of angels really where dreams come true? That story setup is a very solid base on which to build a movie, and at first Rules Don’t Apply works extremely well. Hollywood, beautiful people, careers made, money spent, a rich, reclusive madman hiding in the wings watching it all; that’s something that captured me right away and made me hopeful for the rest of the film. Even the way the movie was shot, tiny scene after tiny scene, each moment skipping into the heels of the next, that mirrored Hughes’ personality in a perfect way, making audiences feel as if we were right in the middle of all the chaos, working right alongside these characters as they struggled to make it big. 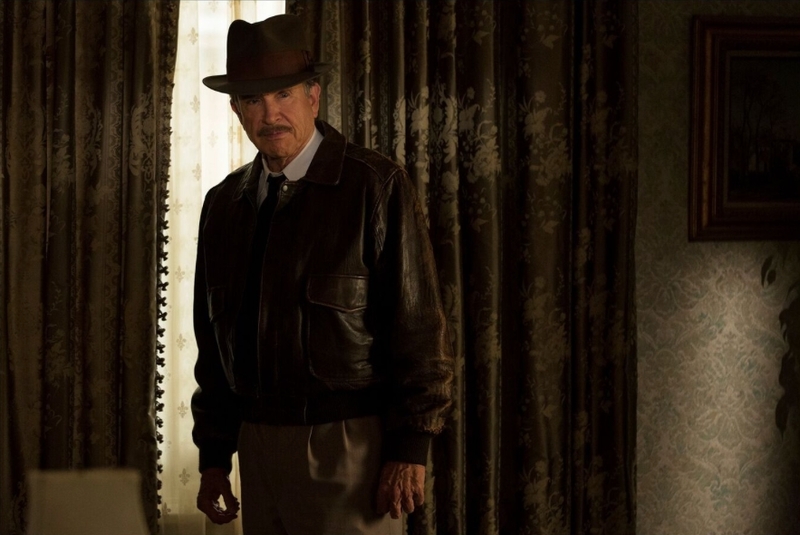 Warren Beatty was masterful as Howard Hughes, capturing both the madness and the moments of heart from this iconic figure. 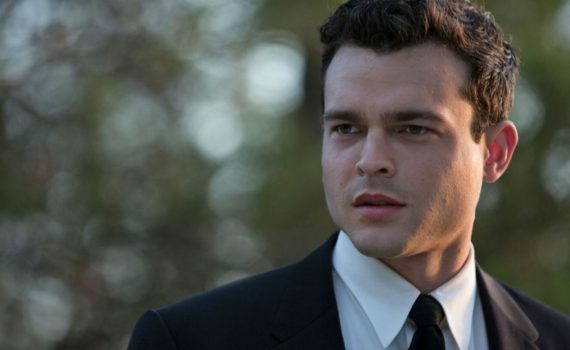 And Alden Ehrenreich, my god, what a star this kid is going to be, you can see it coming from a mile away. But what made this film good also made it bad, in a strange twist of fortunes and because of a lack of control by Beatty, the man behind the curtain. The pace and odd transition style at first fascinated but later simply annoys, as the action rarely changes speed over the course of two hours. The result is a film that seems much longer than it was and an art form that quickly becomes tedious. A few near-perfect moments when things slow down for two minutes had the ability to recapture us for a time, but then it was right back to an insane race that left us spinning. 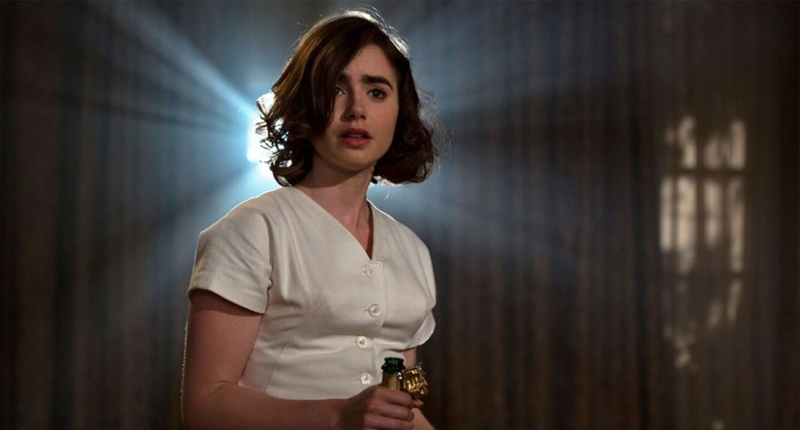 And while relying on great acting served the film well in its leading men, its leading lady Lily Collins was a complete disaster, coming across as a talented high schooler instead of a film professional. Too many messy cameos marred the 120 minutes as well: Annette Benning, Haley Bennett, Ed Harris, Taissa Farmiga, Alec Baldwin, Matthew Broderick, Martin Sheen, Oliver Platt, Candice Bergen, Steve Coogan, Paul Sorvino. Too much of the film was unnecessary, uncontrolled, and distracting, covering over too much of what actually worked instead of letting it shine through.